This is a guideline for determining the correct size for a travel container. This relates to an animal standing in a natural position. They must be able to stand, with its head completely straight, without touching the roof of the container. It should also be able to turn around and lay down comfortably. The calculated dimensions are internal container dimensions. 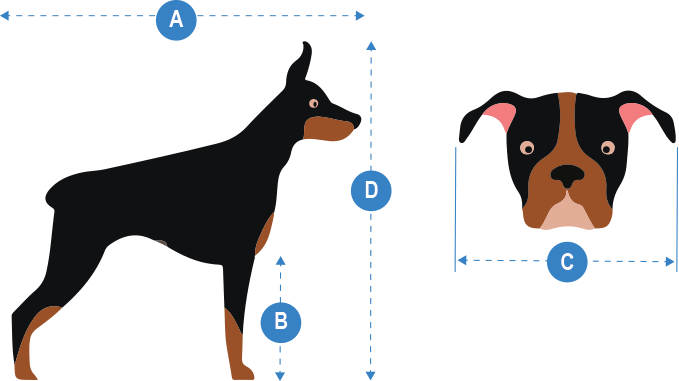 = length of animal from tip of nose to base/root of tail. = height from ground to elbow joint. A+1⁄2 B = length of container. = width across shoulders or widest point (whichever is the greater). Cx2 = width of container. The container must be made of hard plastic or fibreglass. The container must not have wheels. They must be removed, or if not removable, be retracted and taped securely in place. 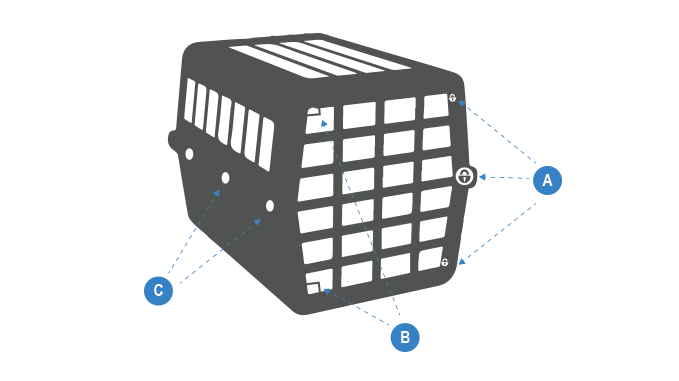 The container must contain separate food and water dishes, secured to the door or floor and refillable without opening the cage. The bottom of the container may be covered with absorbent material, such as a blanket, newspaper, etc. Straw is prohibited. 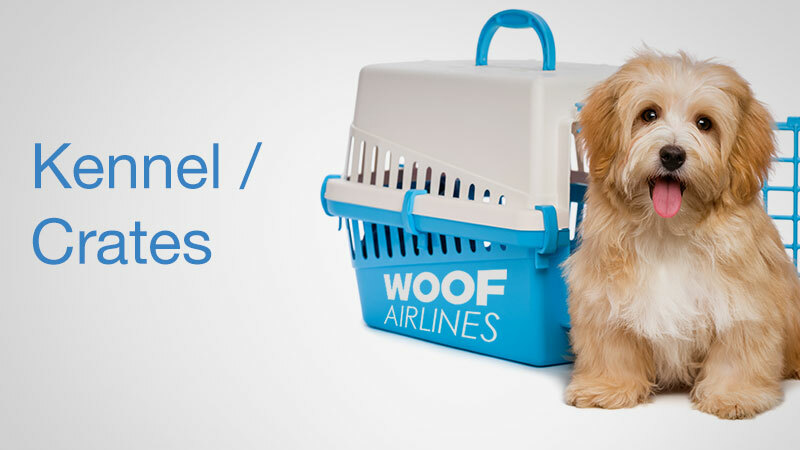 The animal must not be wearing a lead or a muzzle while travelling. These items must be carried separately. The animal must appear healthy and not show any signs of physical weakness or injury. The animal should not have taken tranquilizers or any other non-prescription medicine.